Looking for Decatur's premier HVAC company? You've found ’em. 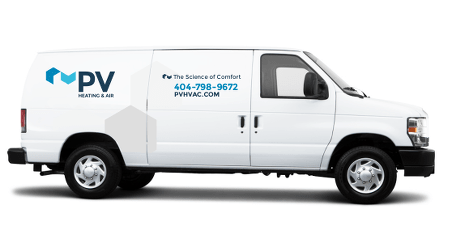 From downtown to Oakhurst to the outskirts of town, PV delivers top-notch HVAC and home performance services throughout Decatur. Got a comfort problem? Time for a tuneup? Don’t wait until a festival weekend – give us a shout today! Variable speed heat pump package unit installation on Dalerose Ave.
High efficiency 96% furnace with variable speed AC installation on East Lake Dr.
2-stage heat pump with variable variable speed 96% furnace installation on Superior Ave. 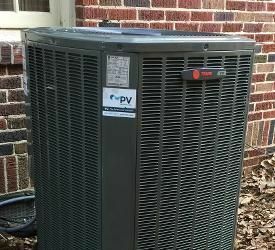 Variable speed heat pump and whole-house dehumidifier installation on Lamont Dr.
We analyze your home to identify the source of your comfort problems. It doesn’t always mean we’ll recommend new equipment, but we will recommend the most effective solution. Our highly trained team members perform quality, fully audited installations. When it comes to HVAC installations – or repairs, for that matter – we dot every “i” and cross every “t.” Then we audit the entire thing. Keep you comfortable year ‘round, with Decatur’s best service agreement: Bi-annual HVAC inspections alert you to problems before they become problems. Around here, we're all about comfort and efficiency. That’s the essence of high functioning HVAC equipment, right? A). It’s got to keep you comfortable. B). It shouldn’t cost you an arm and a leg to operate each season. 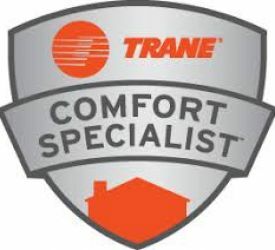 We help Decatur homeowners optimize comfort while keeping their energy bills as low as possible. And we do it through rigorous, informed analysis, dependable service, and designed-just-for-you comfort solutions. Book an afternoon appointment so we can swing by Brick Store after work. Kidding.